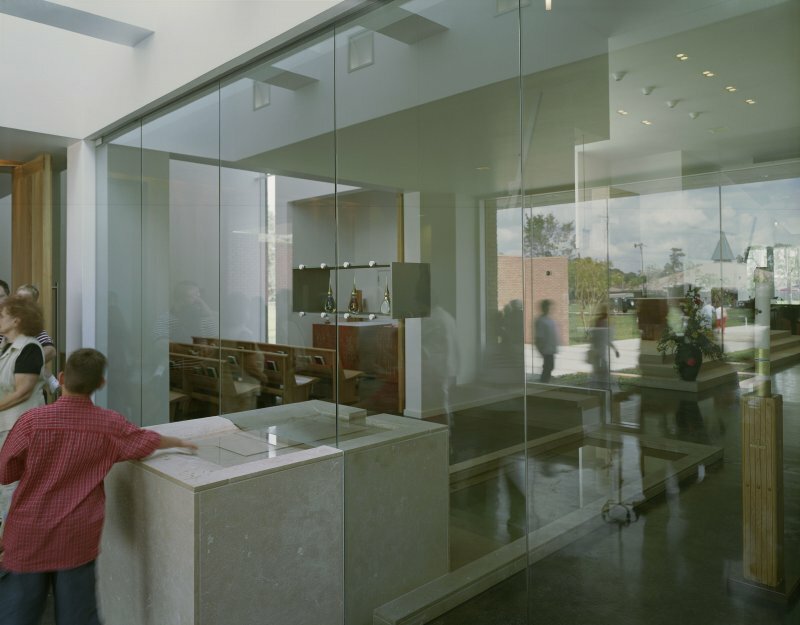 This 12,000 square foot church for St. Martha’s Parish in Harvey, Louisiana was designed through a series of interactive, hands-on workshops with church leaders, building committee members, a Liturgical Consultant and the entire St. Martha congregation. 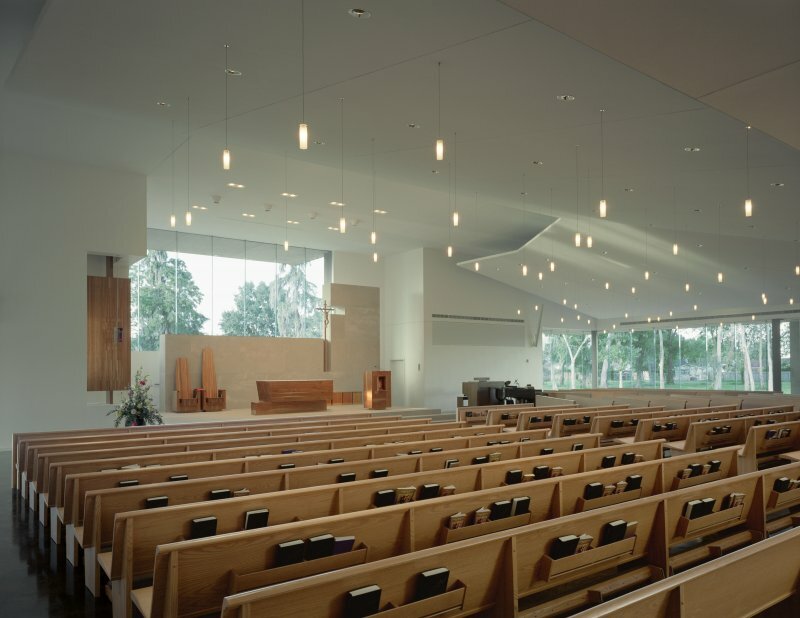 The church is sited in the middle of a suburban neighborhood, surrounded by the rear yards of adjacent single-family residences. 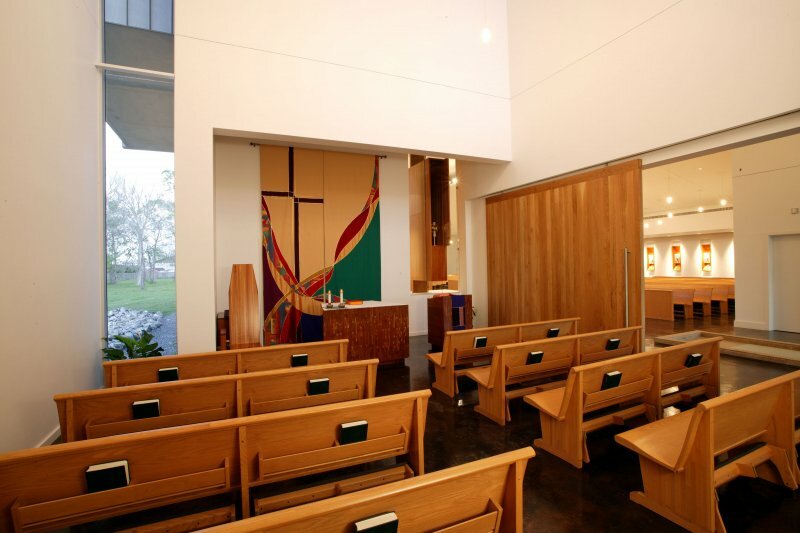 The new worship space is strategically located at the center of the church property adjacent to a large grove of trees, engaging the existing landscape to connect the church to nature. Future plans envision this tree grove as an expanded worship space with a meditation walk containing an outdoor stations of the cross. 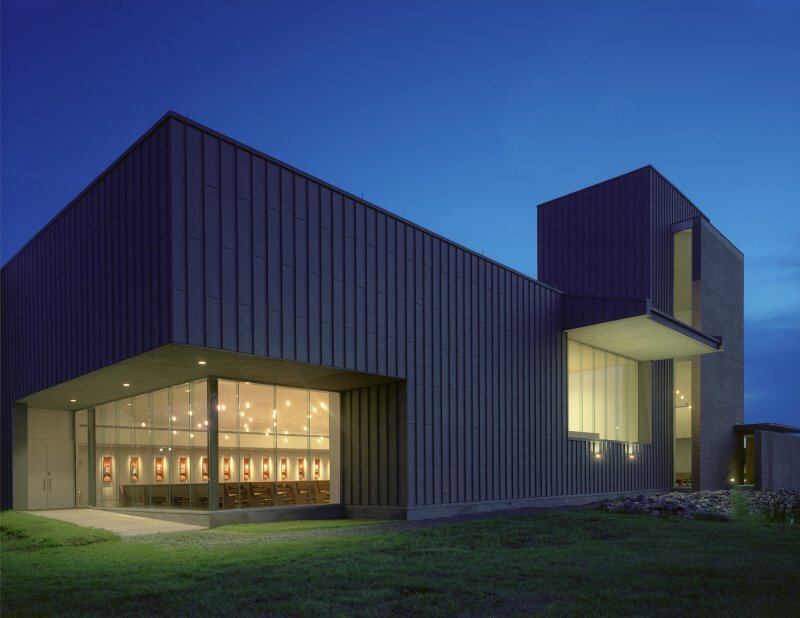 Celebrating both the Church entry and its day chapel, a tower element anchors the project and acts as a campanile. 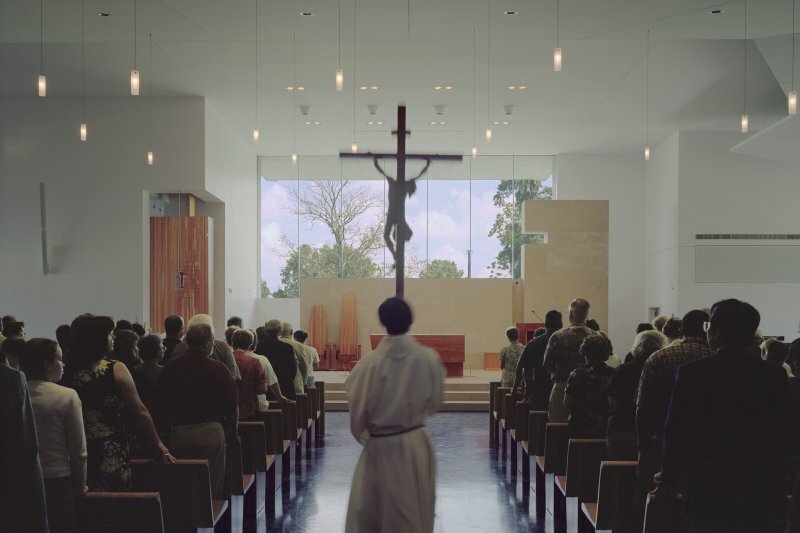 The campanile has an internal presence as well, with tall vertical windows allowing natural light to enter the high volume of the day chapel located within the tower’s base. 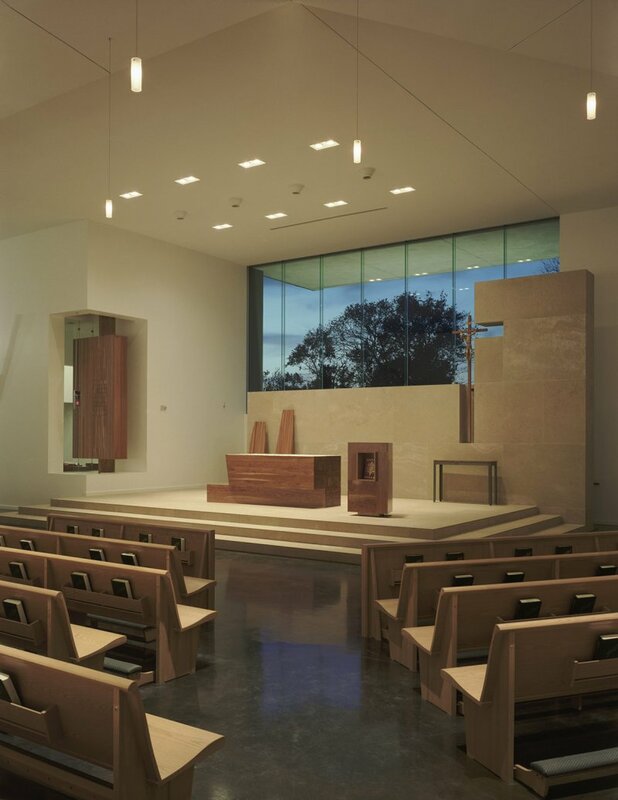 The soaring interior gives the day chapel a dramatic spaciousness less present in the more intimately scaled main sanctuary, reflecting a desire expressed by the congregation through the workshop process.